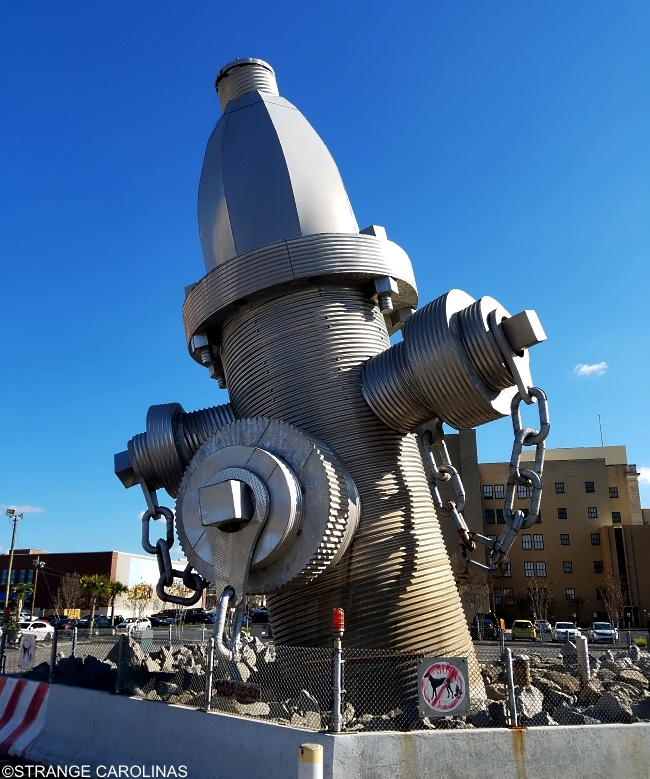 "Busted Plug Plaza," also known as the World's Largest Fire Hydrant, is Columbia artist Blue Sky's signature piece. 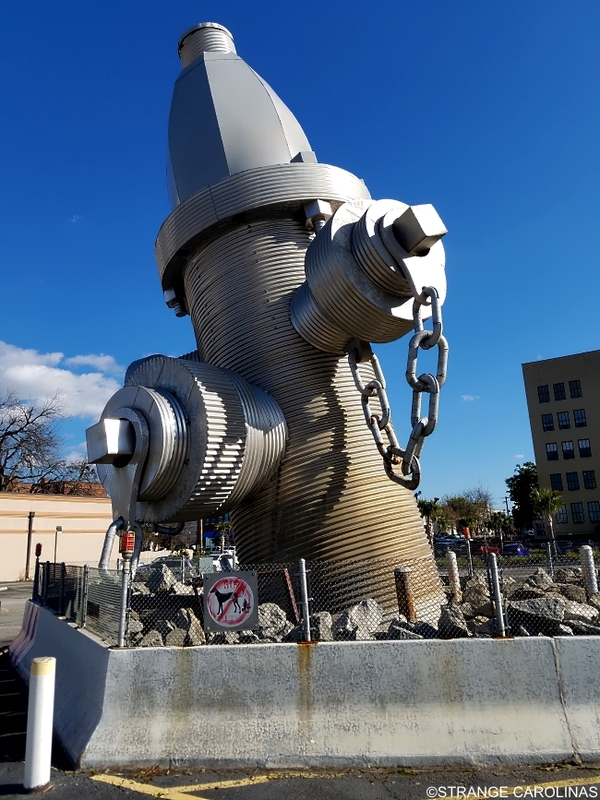 Installed in 2001, "Busted Plug Plaza" took fourteen months to erect, weighs over 675,000 pounds, and is over 40 feet tall. This piece is massive, fun, and just leaves you in awe. You'll stare at it for a few minutes before you even notice the humorous "No Dogs Allowed' sign. Fun fact: according to Blue Sky's website, the piece was built to withstand a direct hit from a tornado. How many pieces of art or roadside attractions do you know that can do that?